There is nothing more frustrating than writing a book and finding out later that no one will buy it…or that the sales drop after a couple of months. Even after all of your marketing efforts, begging friends and doing promotion site pushes, there it sits with no sales and no movement. But the truth is, it doesn’t have to be this way. You CAN do some master-level research to validate your idea and ensure there is a hungry market for what you want to write BEFORE you write it. 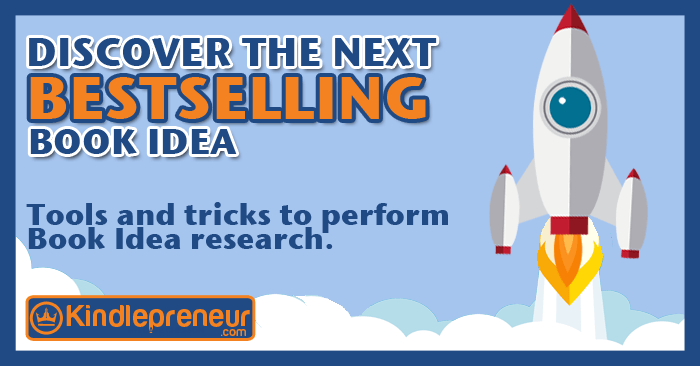 This will help ensure your book idea will succeed and you’ll have sales. I’m talking about some real number crunching, full detailed data that can give you a simple go-no-go criteria. And don’t worry, while this may be master-level stuff, it’s laid out so that anyone can take it and apply it. However, if you’d like to skip all that and use a simple tool that will do all of the below in seconds, then click here. PS: I created that tool so I’m a little biased. So what does it mean when someone says a book is a good idea? There are contextual pieces to this equation like it being a topic you are passionate about or a topic you really know. But for the purpose of this article, we’re going to focus solely on the marketing aspect of the idea and whether or not it can turn a profit. So the real question should be: Is this a book idea that I can sell. Now, famous people like Gary Vaynerchuk or Tony Robbins can sell just about any book. Because of their pre-existing fame, platform, and reach, all they need to do is write a book, and engage their fans…which for them, equates to instant best-seller and multi-million dollar profits. But, sadly, that’s not us…or at least not yet. Instead, most of us must depend on creating a book that is discoverable and has a unique positioning without hordes of competition. Pre-existing Market: A pre-existing market is proof that people are actively looking for your book. They are searching the internet and trying to find the subject you are thinking about writing. Proof that the market is willing to pay: There are many things out there that people type in that they don’t intend to pay for. Sometimes they do, but they find they can get it for free somewhere else. With this, you want to verify that your idea is profitable and the market is willing to pay you what you think it is worth. Low enough competition: Even if there is a hungry market that is willing to pay for your book, if there is too much competition or the competition is too good, then your idea will sink. A book on “How to Lose Weight” may have lots of people willing to pay for it, but your book will never be discovered in the sea of other “How to Lose Weight” books. 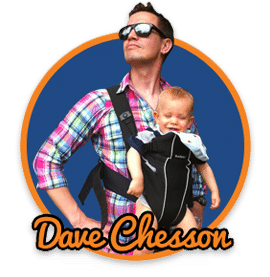 Sounds like a lot, but don’t be discouraged because I have a process and tool that will help you collect the above information and help you make an informed decision on whether or not your book idea will make you money. We’re talking about real numbers so as to make real good decisions. The rest of my steps will be pretty number intensive. Therefore, we need to ensure we have an appropriate means in order to organize our information. To make this easier for you, go ahead and click the button below and download a free excel template that has the above plus some equations programed inside of it…much easier that way.Click here to download.Download it Here! Step 2: How Many People Search For Your Book Idea? First and foremost, you need to know if people are actively looking for your book subject or target phrase. But how do you do that? For this step, we’ll use a free tool that will tell you how many people per month type a phrase into Google. I know, I know….Google and Amazon are different but understand that there is a correlation between Google Traffic and Amazon Traffic. It’s easy to say that if people are typing into Google a certain phrase, then they are probably typing it in Amazon at a relative level. 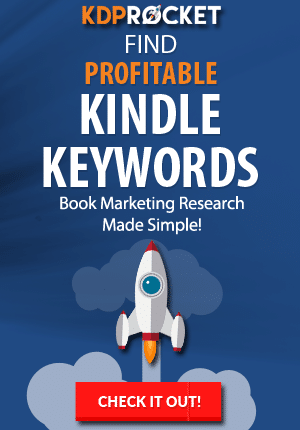 In order to get the estimated Amazon searches per month, you’ll need my latest software, KDP Rocket, which will do exactly that. It will tell you how many people per month type certain phrases into Amazon – which is powerful. But that software uses super nerdy data, our own algorithm and other aspects in order to create that number – something our excel sheet can’t handle. Using this, you can see the number of people per month that type into Google that exact phrase you entered. EXTRA BONUS POINTS: The column marked “SEO” is a 1-100 number that depicts the level of competition a keyword phrase has in getting ranked on Google. 0-20 is easy to rank, 20-30 requires some decent SEO knowledge, 30-40 requires a master, and >40 requires a guru and or a professional agency. In my software, KDP Rocket, we did the same thing for Amazon so as to help you figure out if you can beat the book competition. I made the mistake once of forgetting this step. I had a high demand Google Keyword phrase with low competition. However, it turns out it wasn’t the type where people would pay for the information….double whammy! Step 2. Select the top 14 books (number of books that show up on the first page of the Amazon search results) and find their Amazon Best Seller Rank (ABSR), price, and Number of reviews. Step 3. Take the ABSR number and place it in my free Amazon Best Seller Rank Calculator. This will tell you how many books are sold per day. Step 5. Now, do the above for all 14 books that were selected. Add up all the Earnings Per Day and divide by 14 so as to get the top 14 average earnings per day for that group. Step 6. Now ask yourself if that seems like a good number. PS: KDP Rocket will pull all this data for you with a click of a button and allow you to access the book cover, individual reviews and more. So, by now, we should know relatively how many searches are made for the phrase, and whether or not it is profitable. We now need to figure out if the competition is too great and whether or not we can get our book in a position to beat the others. Step 2. Take the ABSR of each of top three books and average them together. Step 3. Take the ABSR of the top 14 books and average them together. Step 4. Finally, look at the book covers, the happiness of the customers, descriptions, etc and give the book a grade from 1-100 with one being terrible and you could be it and 100 meaning perfect in every way like Mary Poppins. This will be our Quality competition analysis. By having these four numbers, you’ll be able to compare the competitiveness of this phrase or book idea both quantitatively and qualitatively. Going back to the information you’re recording on your excel sheet, let’s look at the ABSR of the first book. Our goal should be to outrank that book because the book that ranks #1 for a phrase gets the most sales. But sometimes a niche/idea/phrase is just too juicy and ranking #2-6 is sufficient for enough sales to warrant writing the book as well. That’s why I’ve included Step 2 and 3. How many searches per month for that book idea: Is there enough room? Quality of the Titles and subtitle: Are they optimized for showing up for that phrase? Quality of the Book Cover: Are they super ugly and easy to beat? Quality of their description and sales copy: Are they masters? If you don’t know how to rate the above, don’t worry about it if you’re using KDP Rocket. We actually took most of that information and created a competitive score for you. That way, you can use our intuition and experience to figure out if its easy or too competitive. Most likely you didn’t strike gold on your first try. Therefore, rinse and repeat. You can either go in a completely different direction, narrow down your search, and look at what Amazon suggests. Completely Different Direction: Sometimes you can just see the writing on the wall and know it’s a bad idea – congrats then, because your research just stopped you from wasting a lot of time writing a really good book that the market doesn’t want. Narrow Down Your Search: What will most likely be the case is that as you start looking at books in your category, you’ll start to find out that you can niche down and get more specific…this will help you reduce your level of competition, but will also reduce the level of traffic as well. But hey. What’s better? 1% of 1000 or 40% of 100? To get ideas on how to niche down, you’ll want Amazon to assist you. Have you noticed that when you go to type in a phrase into Amazon’s search box, it gives you suggestions? It gives those suggestions because it knows what people have typed into it. Also, don’t forget about Google. 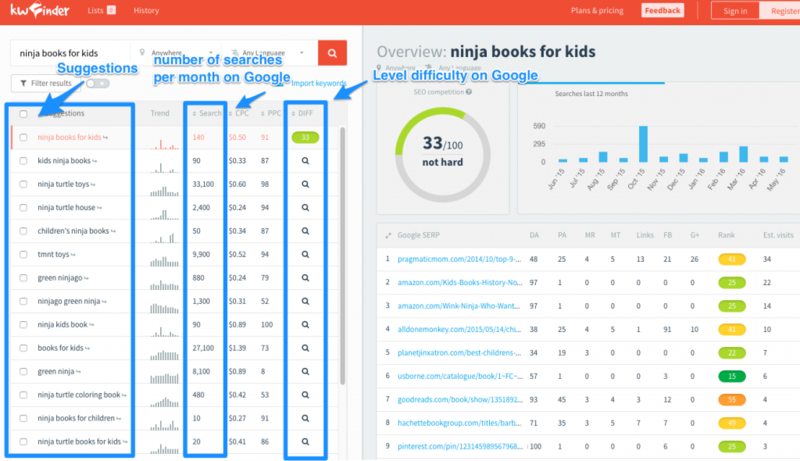 The tools like KWFinder and Google Keyword Planner will also give you some juicy suggestions that you might never have thought of. The best part is that it is only $97 for lifetime access! However, soon, I’ll be making it a subscription. So lock in your lifetime access now for the low cost of $97 today. 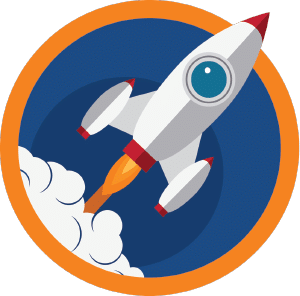 So, if you want better and faster data and criteria on whether or not your book idea will be a success, then KDP Rocket is the best publishing tool out there for just that. Whether or not you use the lightening fast and bodaciously awesome KDP Rocket – yeah, I’m biased – or the steps listed above, we authors need to do our research. We can no longer just wing it because there are now over 4.7 million books on Kindle. Now, the steps above don’t promise success. But just like any successful business does its marketing research, it’s critical for an author (business) to take measures to ensure they can answer the above questions and provide actionable data in order to make that critical decision. You as an author have the ability to research the potential of your book idea and can now decide whether or not to move forward on the subject.